Spanning the border between Brazil and Bolivia lies a rich and biodiverse region of Peru called Madre de Dios (“Mother of God”). The region is under persistent threat from illegal logging, mining and other large-scale and unsustainable development activities. It is also home to rare ecosystems and threatened wildlife and is called the "National Capital of Biodiversity." Brazil nuts are an important source of income in Madre de Dios. The nut comes from a tree that is native to South America and scattered across large forests. It’s a large, long-living tree that can reach more than 40 meters tall and 2 meters wide, making it among the largest trees in the Amazon. 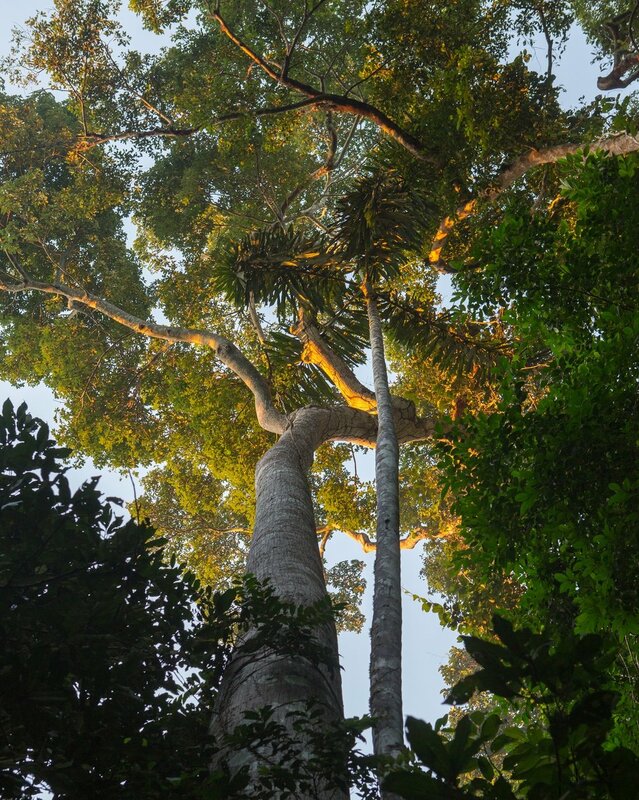 Local people see it towering above other trees in the dense rainforest canopy. The Brazil nut forests in Madre de Dios occupy more than two million hectares of biodiverse landscapes, representing more than 30% of the region. The nut grows in natural forests and are wild-collected. Special varieties of bees, found more often in pristine forests, pollinate the tree. The trees also regenerate naturally thanks to the agouti, the only species of rodent capable of breaking the hard pod in which the nuts are contained. As chestnut plantations do not exist, conserving primary Brazil nut forests is key for preserving this important source of income. In fact, the cutting down of Brazil nut trees is now forbidden in Peru, Bolivia and Brazil. In Madre de Dios, about 20,000 people, or 20% of the population, participate in Brazil nut activities and the sector represents two-thirds of annual revenue in the region. UEBT member Candela Perú is working with 200 Brazil nut collectors or “castañeros” each year, including 80 women, and is working to support the Indigenous Forest Association in Madre de Dios (AFIMAD). Candela Perú works to develop ethical markets for the nuts and build the capacity of local people to protect the trees and assist with natural regeneration across the forests. They also provide the castañeros with free transport for their Brazil nuts, and a toolkit with boots, raincoat and machete. They issue contracts with the castañeros and these can include no-interest, pre-harvest payments. The nuts are collected from December to March when local people move into the forest to live in camps they build. The heavy fruits fall easily to the ground, and collectors smash the shells and place the nuts into sacks. They then transport the nuts to processing plants in Puerto Maldonado. Candela Perú employs local people to select, peel, and dry the nuts, preparing them for markets around the world. The company offers its customers Brazil nut oils, nuts in bulk, dehydrated products, and a range of other natural ingredients from the region, mostly for the food industry but also for cosmetics. As a UEBT member, the company works to implement the Ethical BioTrade Standard. This includes training “castañeros” on reforestation of degraded areas with native species, identifying and protecting wild species in danger of extinction, protection of the Brazil nut tree, and sustainable management of waste generated during collection activities. The company also focuses on good labor practices for the collectors they work with, respect for human rights, and fair payments. Want to stay updated on ethical sourcing? Sign up to receive periodic news and announcements from UEBT.